Reports have it that a 19 year old man , Andrew David Wilson, killed his mom,Lisa Marie Guisinger Wilson, after she refused to allow him bring a dog from his dad's house. He is said to have shot her at the back of her head. He however did not leave the scene as he is said to have called 911 immediately after the incidence. 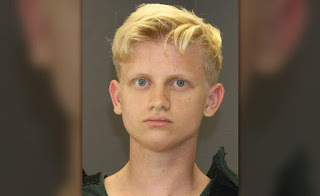 Willson called police early Friday morning to say he returned to their Wheatfield Township, Mich., home to find his mother dead in a bedroom, the Ingham County Sheriff’s detective Charles Buckland testified. Until her death, Lisa was a she was a financial technical advisor at Accident Fund.